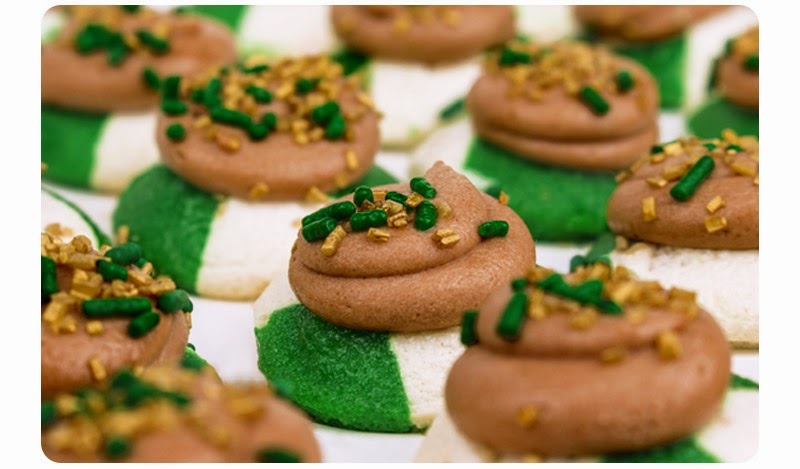 Baked by Melissa is already celebrating St. Patrick's Day with these Luck O' The Irish Cream cupcakes. Irish Bavarian Cream Stuffing, Irish chocolate icing and green sprinkles and gold sugar crystal topping. Even if you don't live near a Baked By Melissa location, you can order online and have them shipped to you for upcoming St. Patrick's Day parties.